Toronto, 2016: More than half a century later, Heather Mackenzie seeks to unravel the mystery of a set of embroidered flowers, a legacy from her late grandmother. How did her beloved Nan, a woman who never spoke of her old life in Britain, come to possess the priceless embroideries that so closely resemble the motifs on the stunning gown worn by Queen Elizabeth II at her wedding almost seventy years before? And what was her Nan's connection to the celebrated textile artist and holocaust survivor Miriam Dassin? 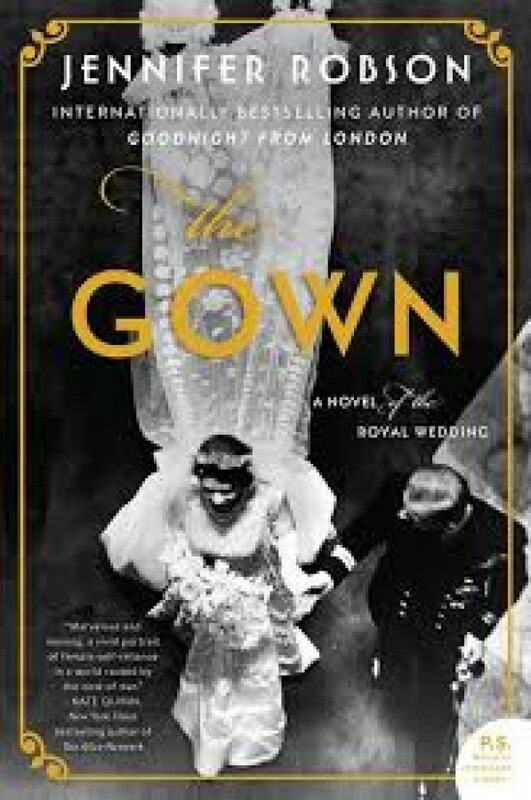 With The Gown, Jennifer Robson takes us inside the workrooms where one of the most famous wedding gowns in history was created. Balancing behind-the-scenes details with a sweeping portrait of a society left reeling by the calamitous costs of victory, she introduces readers to three unforgettable heroines, their points of view alternating and intersecting throughout its pages, whose lives are woven together by the pain of survival, the bonds of friendship, and the redemptive power of love.